Acceptable Courses: Continuing Medical Education (CME Category 1) Continuing Medical Education is acceptable for meeting RN continuing education requirements, as long as the course is Category 1, and has been taken within the appropriate time frames. Courses Approved by Other Entities: Courses approved by ANCC (American Nurses Credentialing Center) approved regional accrediting bodies when these courses are taken out-of-state. 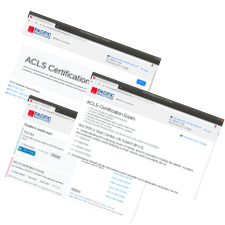 The minimum requirement for each renewal period after the first renewal is 25 hours of continuing education, including: Basic Life Support (maximum credit allowed is 4 CE units) Shall be met by completion of a American Heart Association or American Red Cross Course in Basic Life Support, or a BLS course taught by a provider approved by the American Dental Association’s Continuing Education Recognition Program or the Academy of General Dentistry’s Program Approval for Continuing Education. Online CPR courses will not be accepted for Basic Life Support requirement. Advanced Practice Pharmacist; Continuing Education Requirement A pharmacist who is recognized as an advanced practice pharmacist shall complete 10 hours of continuing education each renewal cycle in addition to the requirements of Section 4231. The subject matter shall be in one or more areas of practice relevant to the pharmacist’s clinical practice. 4052.8. Initiation and Administration of Vaccines; Requirements (2) Be certified in basic life support. 1732.05. Accreditation Agencies for Continuing Education. (a) The following organizations are approved as accreditation agencies: (1) The Accreditation Council for Pharmacy Education. CALIFORNIA CONFERENCE OF LOCAL HEALTH OFFICERS STERILIZATION, SANITATION, AND SAFETY STANDARDS FOR TATTOOING, PERMANENT COSMETICS AND BODY PIERCING Submitted to the California Department of Health Services Pursuant to AB 186 JUNE 30 1998 XIX. Cal/OSHA Where tattooing, application of permanent cosmetics, or body piercing involves an employer-employee relationship, the Cal/OSHA Bloodborne Pathogens Standard, General Industry Safety Orders, Section 5193, Title 8, California Code of Regulations may apply. Total number of locations: 102. These locations CAN provide American Heart Association-branded provider cards if needed. Bill Fitzgerald collapsed suddenly and went into cardiac arrest in August. His wife Jeannie quickly called 911 and the dispatcher, Naomi Dale, gave her instructions to perform CPR while waiting for emergency services to arrive. The couple was recently able to meet Dale and thank her for her help. Dale was glad to be able to meet the couple and connect with the caller she had helped. Tom and Gabriela Park were at home sleeping when Gabriela noticed Tom was snoring differently than usual. She immediately called 911 and followed operator instructions to move her husband to the floor and begin CPR. First responders arrived shortly and were able to shock and revive the victim. Officials say that thanks to Gabriela's quick work, Tom was able to recover and didn't suffer brain damage. With a pacemaker in place, he is making his way back to normal life. Anthony Kiedis was the hero of the day, the group’s frontman performed CPR on a baby while filming a sketch at the Late Late show by James Corden, “We danced off, we tied and then we were going to celebrate with some Mexican food on the corner. And a woman came out of her house, holding a child saying, My baby, my baby, my baby can't breathe! '”, said the father of an 8 year old son, he ran with his whole band across the street to help the mother, “I'm gonna try and do a little baby CPR real quick, see if I can get some air in this kid”, after doing basic techniques the baby began to breathe, just in time for the ambulance to arrive and take the baby to the nearest medical center. Jesse Anderson a 20 year old man was saved at a nightclub in Santa Ana from a severe case of dehydration. He was given CPR by a medic from the club, two other officers who were at the club at that time also helped in the process "I was so far gone that people told them to stop doing CPR, and one of them decided to keep going," said the 20 year old college student. The EMS arrived in order to stabilize him and take him to the hospital, 10 days later he recovered and came back to the nightclub with his family in order to thank the men who took him out of near death’s clutches. Corporal Tami Williams and Officers Matt Scully and Sophia Wrangham were the police officers of the day when they assisted a man at San Ramon Tennis court, who fell to the floor after suffering a cardiac arrest. They arrived quickly to the scene and began doing Advance CPR techniques on the almost dead man, along with chest compressions and rescue breathing they also used a Defibrillator to shock the dying man into consciousness. The EMS arrived and took the man to the Medical Center, where his condition improved. A four-month-old infant was given CPR by the police officer that arrived at the scene.When the infant did not respond the officer had the next police officer that arrived on the scene drive him and the infant to the closet hospital. The first officer continued to perform CPR on the infant in the back seat of the patrol car. When they arrived at the hospital and the hospital staff took over, they were able to revive the baby. It was stated by hospital staff that performing CPR on the infant in the back seat on the way to the hospital certainly played a role in saving the baby's life. A 5-year-old boy nearly drowned in Dinker Creek in California. His father had ran for help and that is when he found Corporal Curtis Shurtliff, a Clovis police officer. Shurtliff began CPR on the boy but it was not working. He relied on his paramedic experience and turned the boy upside down to get the water out of his lungs. Another 30 minutes of CPR still did not revive the boy. Moments later while praying with the boy's family Shurtliff felt the boy's pulse. Paramedics arrived and took the boy to a nearby children's hospital. The child is recovering well and Shurtliff went to visit him and give him his hat, as promised. DeputyErik Loera and Deputy Christopher Gonzalez responded to a call that they thought was for a small child drowning, but they found that the 15-month-old baby girl had really choked on something she had been eating. They were able to get her pulse back, but she was still unconscious. EMS arrived and took her to the hospital where she is expected to make a full recovery. A med student received an award by the city of Palo Alto for saving the life of an employee at a store. Laura Lu, a second year med student was studying for her board exams and took a little trip to the printing and shipping store in order to pick up some books. That is when she heard the cries of help from the manager “Does anyone know CPR?” after noticing an employee lying on the floor with no pulse thanks to a sudden cardiac arrest. The courageous student jumped to the action by providing CPR assistance to the almost dying man. The paramedics arrived on time and took the worker to the nearest medical center. Luckily, the patient recovered with no permanent damage, all thanks to the quick thinking of Laura Lu, the hero of the day. Diana Sedler was an experienced dentist who was having a dinner with her friends at a sushi restaurant. She suddenly hear the pleas of a man asking for help over the body of a woman. Diana inmediatly jumped to her an after finding no pulse, he began doing CPR maneuvers “I really didn’t think about it in that situation, I knew what I had to do. It was as if the protocol were there written in front of me.” said the heroic Dentist. She managed to bring back the almost dying woman after 2 minutes of CPR. Kurt Vaughn, a boyscout trained employee at starbucks, managed to save a life thanks to his training. He was doing his routine schedule when someone entered the stablishment yelling and asking for someone who knew CPR. Kurt jumped to the action by providing CPR assistance to Mike Furtado, a 66 year old man who was suffering from a cardiac arrest. Even though Vaughn is not certified in CPR, he managed to keep Mr. Furtado alive until paramedics arrived to provide assistance.